Óbuda University and the National University of Public Service, applied together, for the Hungarian Government tender titled “TÁMOP-4.2.1.B-11/2/KMR-2011-0001 promotion of research projects and research services in Central Hungary” in 2011. As a result of the positive tender evaluation they won altogether ~3,167,000 € financial support from which the ÓU could use ~1,749,864 € and the NUPS could use ~1,417,143 € to accomplish the approved research objectives. 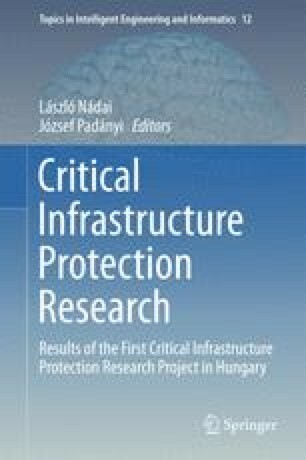 After the successful tender the two beneficiaries created a consortium named “Critical Infrastructure Protection Researches”. With the realization of the Project the employment of 112 lecturers, 30 experts, 28 future lecturers, 33 foreign experts, the publishing of 132 articles, 11 books, the submission of 4 patents, the organization of 140 conference-presentations, the development of 43 studies and strategies and the writing of 70 other scientific dissertations were set as a goal. The above requirements have been accomplished in some areas significantly over fulfilled during the 27-month course of the Project. The results of the research have been received with sincere renown in professional, academic, governmental and social circles. Learning is not compulsory, neither is survival. W. Edwards Deming Quotes, URL: http://www.brainyquote.com/quotes/authors/w/w_edwards_deming.html#Vp4MldA51AqCIisT.99 (Access Date: 10 April 2014).